After one of the mildest autumns on record, some plants haven’t stopped flowering after the summer and spring flowers have started to bloom early. Daffodils and snowdrops have been spotted across the UK and here in Gloucestershire, my garden is full of unexpected flowers I wouldn’t see at this time of year. The lawn and weeds are also growing at an alarming rate, but because it is so wet, it is impossible to cut the grass or get on the borders to tidy up. 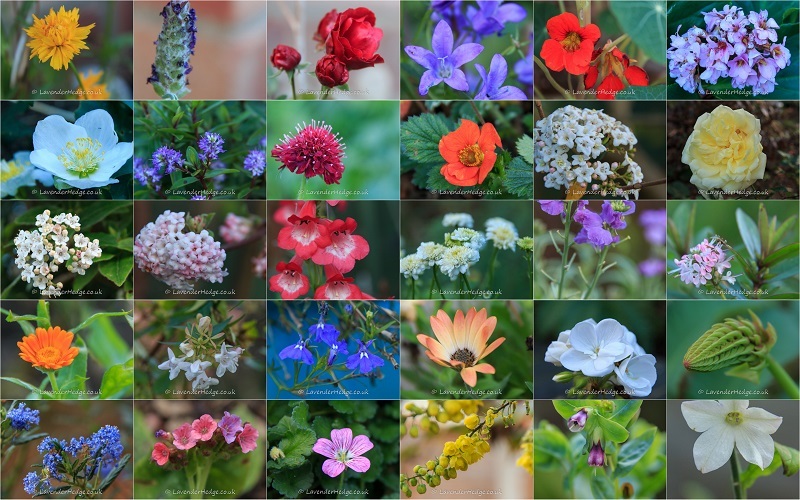 Some of the flowers blooming in my garden over Christmas, most of which shouldn’t be flowering at this time of year. These are just some of the flowers I found in my garden in December. 5th row: ceanothus, pulmonaria, geranium, mahonia, cerinthe major and nicotiana. Whilst the spring and summer plants are not flowering profusely, they are flowering and I have even seen bees at work. As there is nothing that can be done about the weather, gardeners should just enjoy the unseasonal displays and not worry unduly, as flowers don’t generally suffer in the long term. What’s flowering in your garden that you don’t expect to see at this time of year?